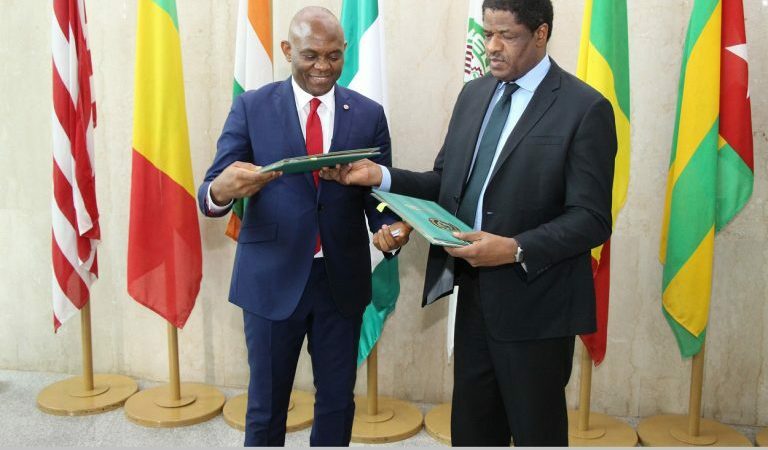 The ECOWAS Commission and the Tony Elumelu Foundation have signed a Memorandum of Understanding (MOU) for collaboration to deepen and amplify both institutions’ efforts in supporting micro, small and medium enterprises (MSMEs) as well as promoting entrepreneurship and wealth creation. The MOU, which has been endorsed, is for a period of two years. It allows both organizations to leverage their respective capacities and sharpen their focus on entrepreneurship as a tool of development. Formalize and instill competitiveness in the West-African entrepreneurship ecosystem by developing and implementing a Regional Strategy and Charter to promote best practices in MSME governance, better access to finance, access to regional and international markets, and capacity building. Advocate for improvement in the enabling business environment for SMEsthrough joint organization of workshops along sectoral lines to promote business and investments, and harmonize policies and fiscal issues that create an enabling business environment. Spread and strengthen the philosophy of Africapitalism by socializing it with key stakeholders. Teach Entrepreneurship in the ECOWAS region, including Africapitalism as a study in the national education curriculum (starting from primary school) of ECOWAS member states.